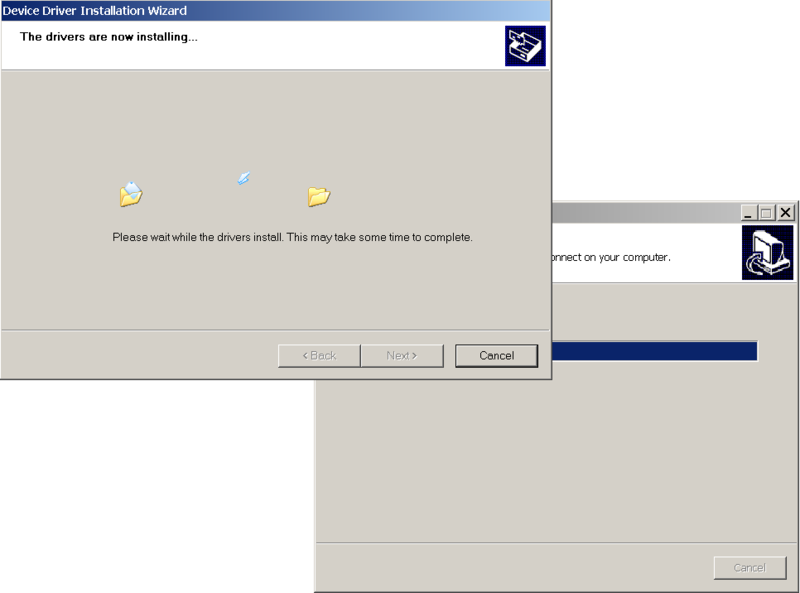 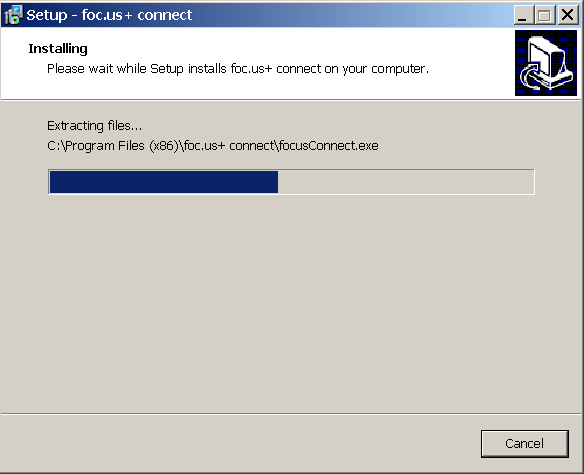 This guide will walk you though the installation of foc.us+ connect on windows 7. 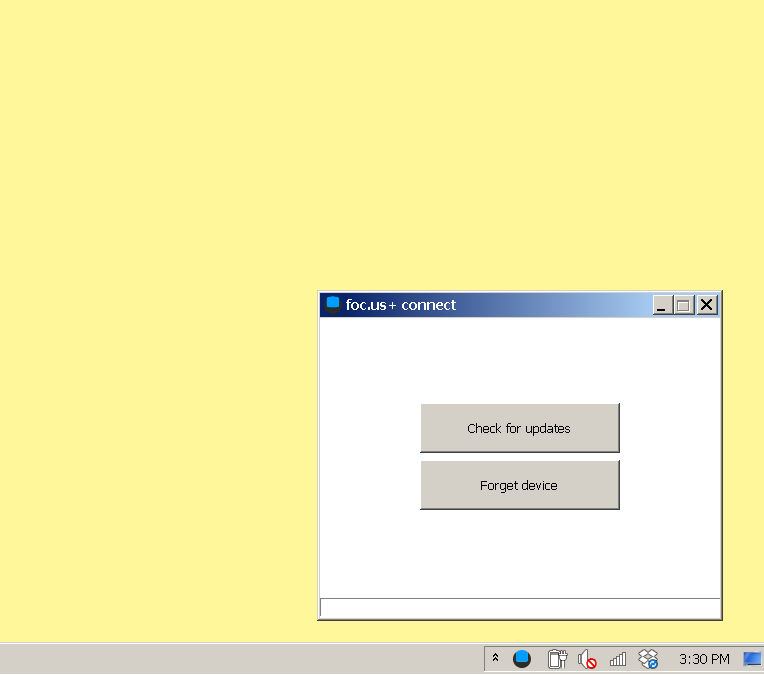 Step 1. 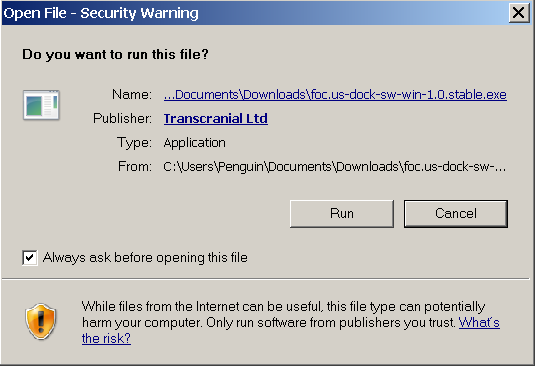 Double click the downloaded exe file and click "Run"
Step 4. 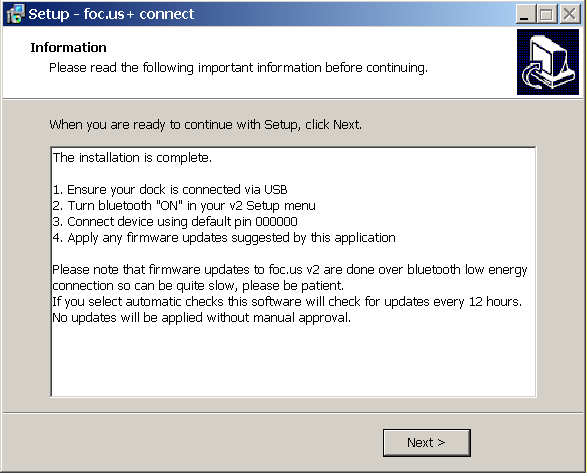 Read the information and click "Next"
Step 5. Select a destination installation directory (or use default) and click "Next"
Step 6. 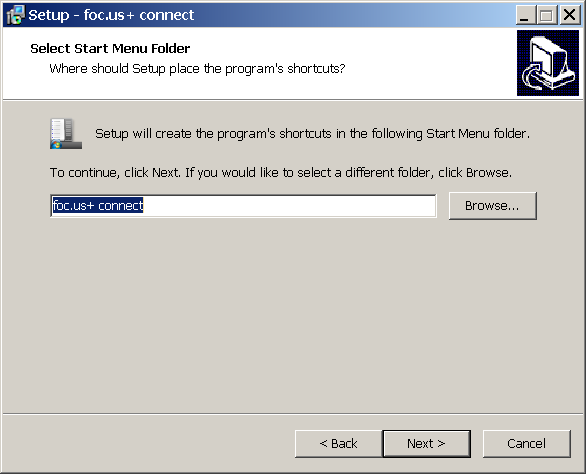 Enter a new name of use the default and click "Next"
Step 7. If you have not installed the dock drivers ensure the checkbox is selected and click "Next"
Step 8. Confirm all selections by clicking "Install"
Step 14. 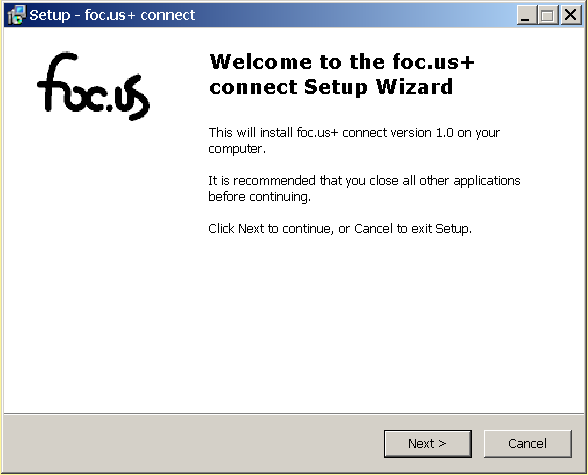 The foc.us+ connect software is now installed. Please read the notes and then click "Next"
Step 16. 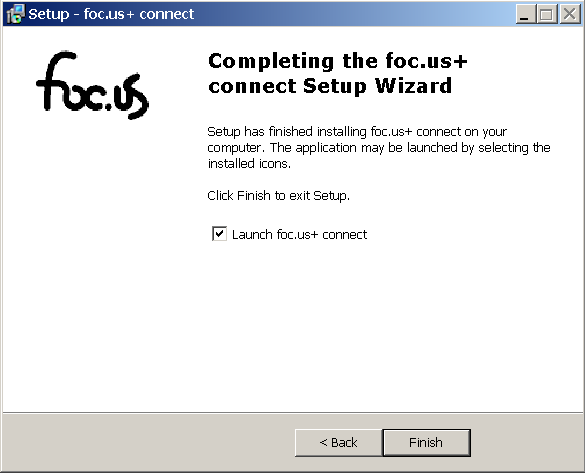 Clicking the foc.us dock icon in the system tray will open the foc.us+ connect app. The software will check for updates to itself, your dock, and the foc.us v2 every 12 hours. You can disable this by right clicking the icon and unchecking the "Auto-check for updates" menu.